Luke and Hilary, I’m honored and happy to be here as you enter into marriage today. This is a remarkable young couple and over the past several months, it’s been a pleasure getting to know them better. Not only do they love each other and their families, they also love the God revealed to the world in Jesus Christ. They truly want to honor Him not just in this time of worship and celebration, but with their lives. Luke and Hilary, I’d like to speak with you particularly about one of the Bible passages you chose to be read today. All of the passage you chose present different facets of marriage, of course. The reading from Genesis reminds us that marriage between a man and a woman, two people who are the same but different, who when brought together are complementary and complete, is God’s idea. The passage from Ephesians reminds us that marriage is meant to be a relationship of mutual surrender in which husbands and wives love and serve one another as, in Martin Luther’s phrase, “little Christs” who see the Christ in the other. Ecclesiastes reminds us that God made us for relationship and that every strong marriage is a cord of three strands: husband, wife, and God. But, for now, I want to say a few words about another passage you chose, one which we haven’t read yet. Colossians 3:12-17. This passage, written in about 60 AD by the apostle Paul, wasn’t originally addressed to a married or engaged couple, but to a church in the ancient Greek city of Colossae. Nonetheless, its words are perfect for two people like you as you begin your married life together. 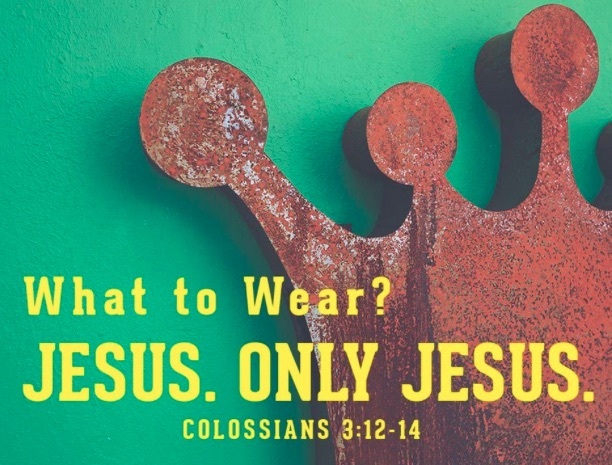 He didn’t do that because Paul knew that telling the Colossians (or any human being) to be any of those things would be like telling me to be a seven-foot-four power forward. As you are married today, Hilary and Luke, I’m not going to tell you to be compassionate, kind, gentle, or any of the rest toward each other. But I am telling you three things. First, if your marriage is going to be all that God intends for it to be and everything that you want it to be, you will have to all these virtues. When two people spend a lifetime together in marriage, Paul’s list of virtues will be as essential as air and water. The second thing I want to tell you is this: Nobody other than Jesus Himself, God in human flesh, ever exhibited these virtues with any consistency. The third thing is this: There is a Source from Whom these virtues can be unleashed in our lives, sometimes in spite of ourselves. That Source is the one true God of the universe Who came into this world to take the punishment for sin we deserve on a cross, then rose from the dead to give life with God that never ends to all who trust in Him. By grace through faith in Jesus Christ, we are saved from ourselves, from our sins, and from death. 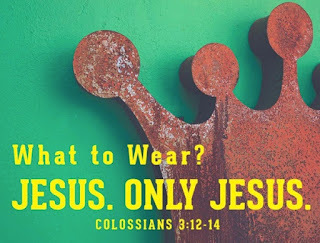 And this same God, Who loves the two of you and everyone gathered here for this holy, happy moment with a passion and perfection none of us can imagine, can also daily refill you with the virtues with which Paul told the Colossian Christians to clothe themselves. God alone can give married couples all that we need not only to make our marriages work, but also to be the kinds of people to whom our marriage partners want to be married. And how does God do this for us? You know the answer: By faith in Jesus Christ, by daily surrender to Him, by daily giving our marriages to Him, by daily coming to Him to confess our sins and our needs and to be filled again with His grace and power and love. To put all of that in its simplest terms: by letting Jesus Christ love us to life. Hilary and Luke, let Jesus Christ be the center of your marriage, let Him fill you with His love, cover you with His grace, give you life with God.